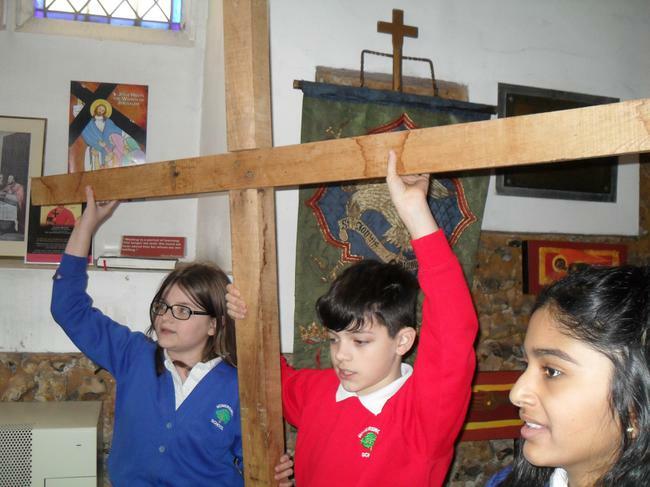 At Homerswood Primary School we follow the Hertfordshire Scheme of Work for Religious Education. 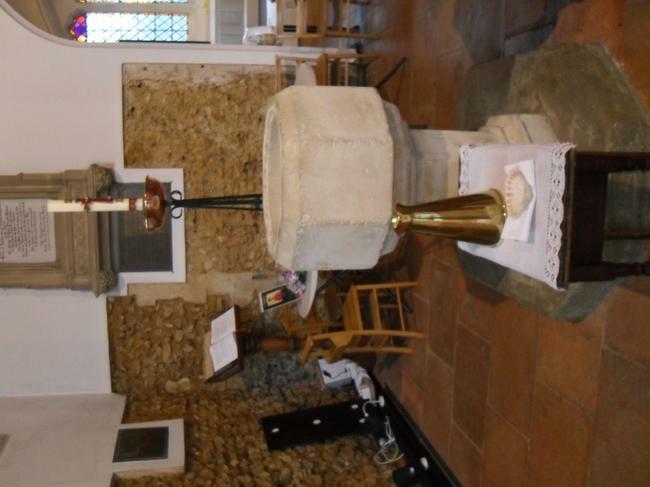 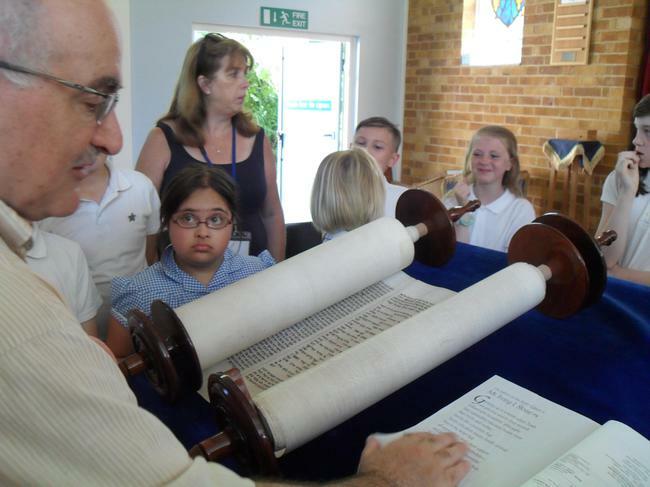 This has been developed to accompany the Hertfordshire Agreed Syllabus for Religious Education. 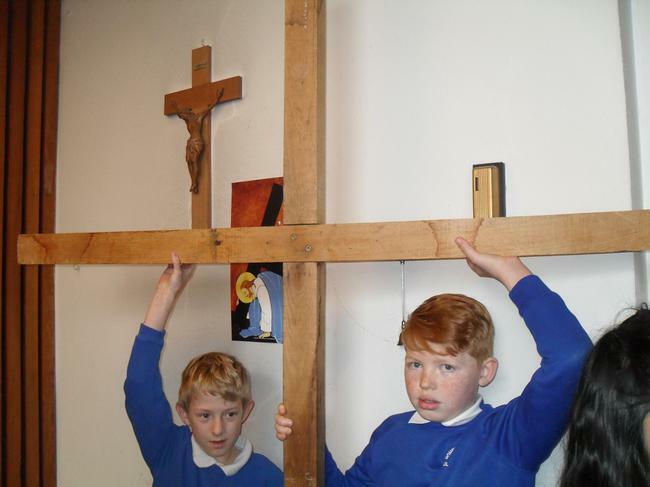 It requires that pupils learn about different religions. 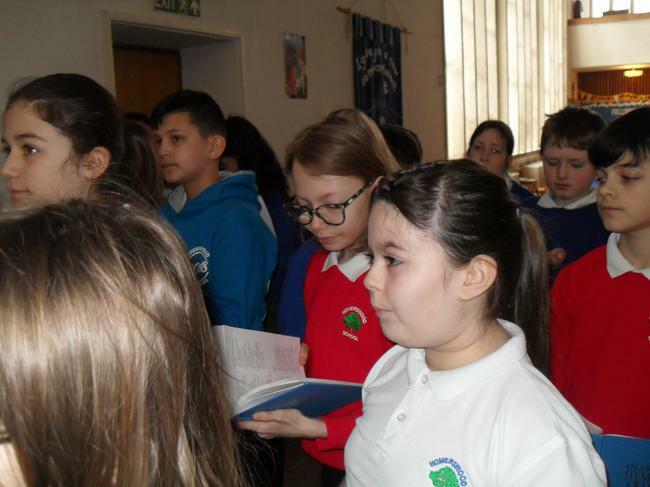 At Homerswood we think that it is important to encourage pupils to reflect on their own beliefs and values whilst acknowledging that others may hold beliefs different from their own. 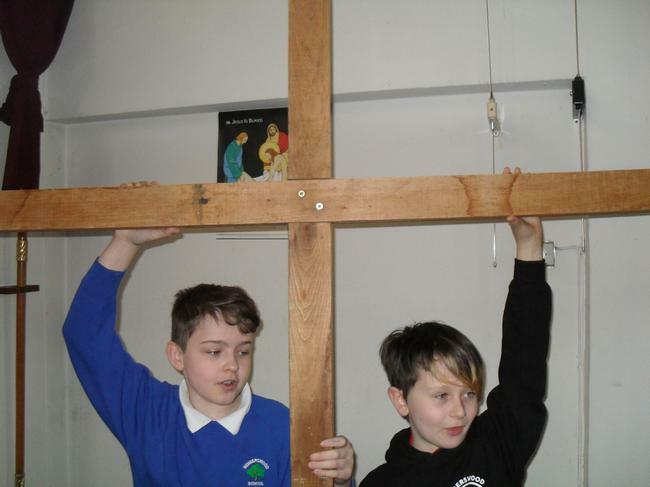 Pupils learn about Christianity in every year group. 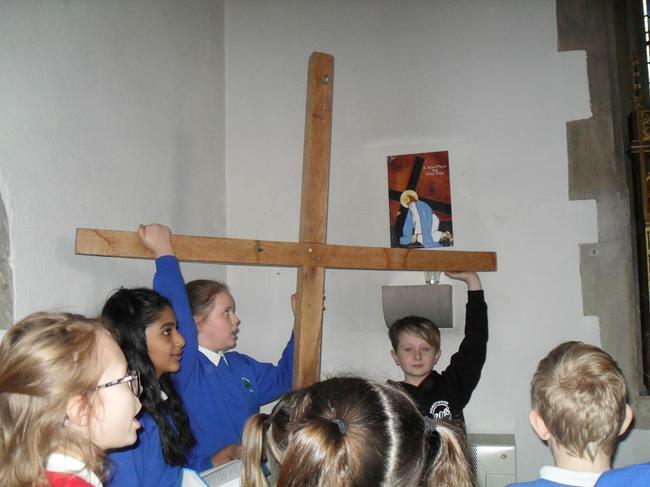 Each year group also focus on a different religion. 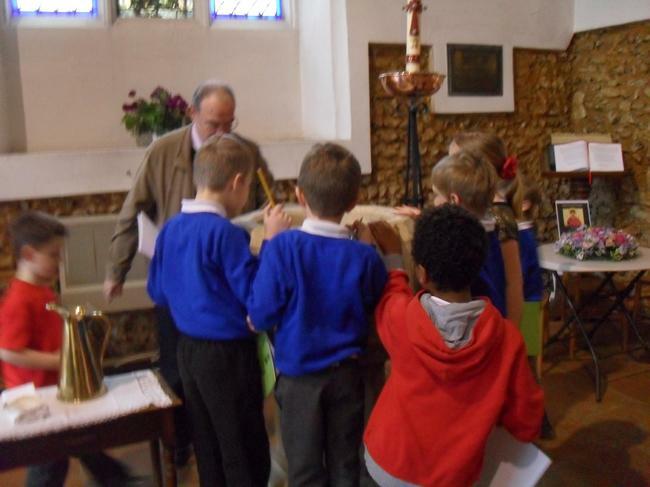 These include Sikhism, Hinduism, Islam, Judaism and Buddhism. 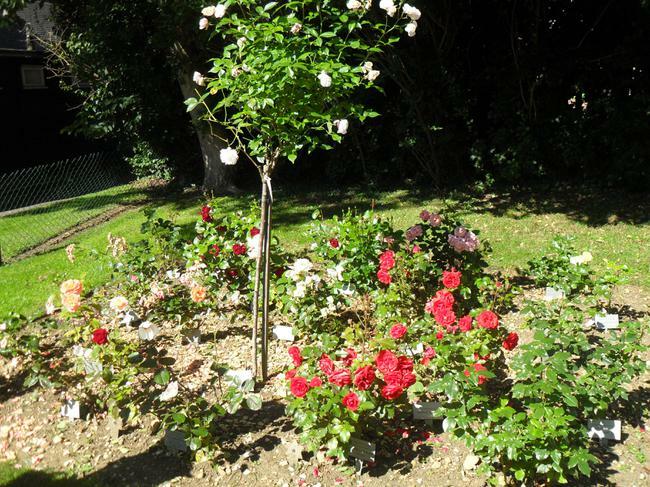 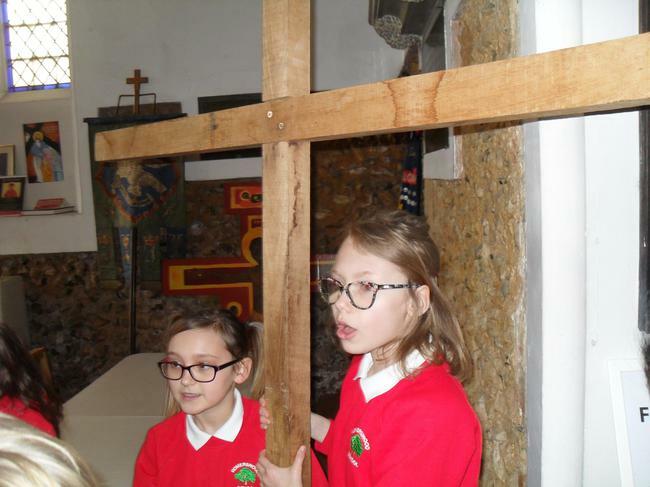 The pupils learn to describe the key aspects of religions and traditions, learn about places of religious importance and discover how religious festivals, events and stories are observed within religious communities. 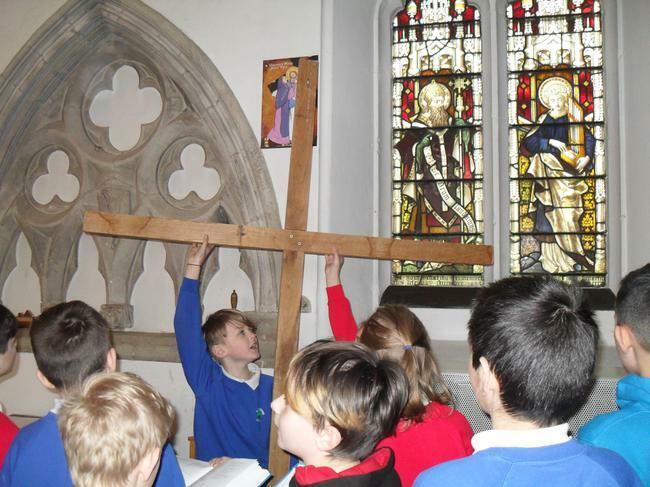 Where possible, we visit different places of worship or invite visitors to the school. 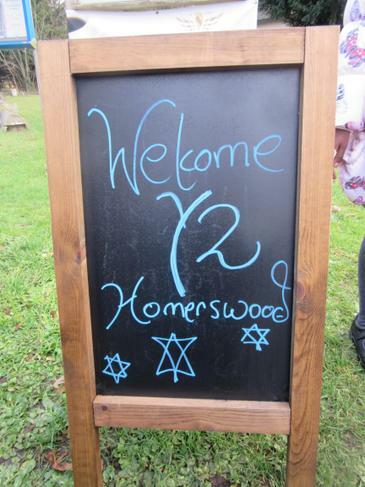 Homerswood welcomed Father Rob. 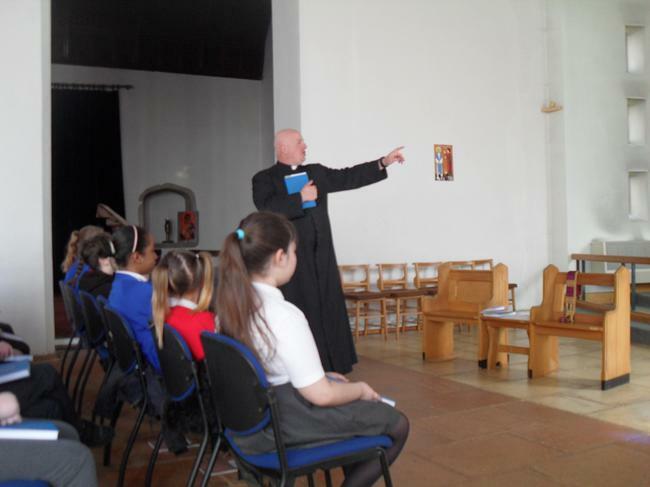 He came to talk about Lent during our shared assembly. 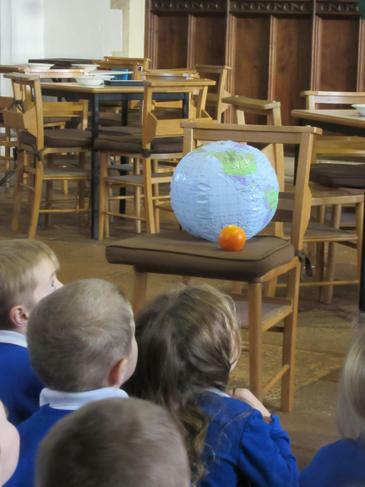 Year 3 welcomed Maryam, a Muslim faith visitor, to their class. 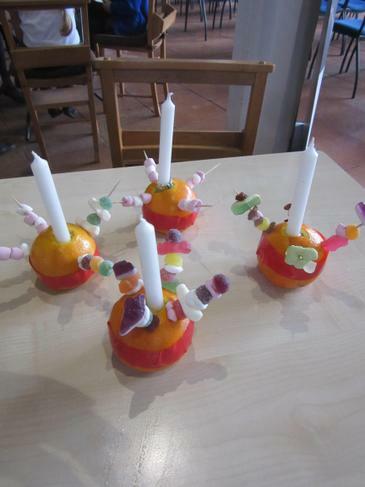 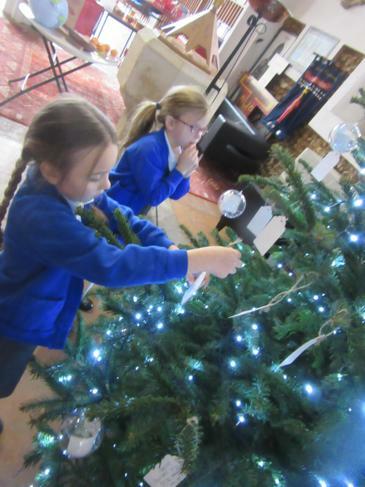 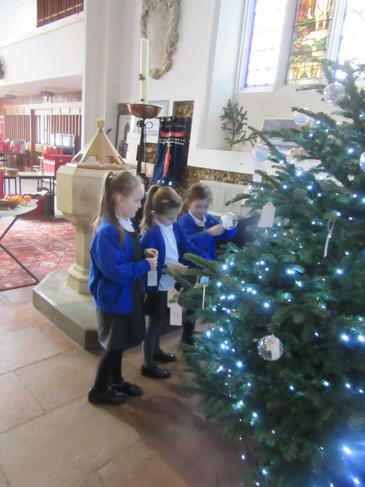 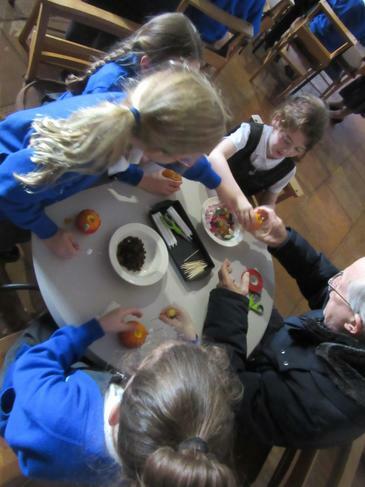 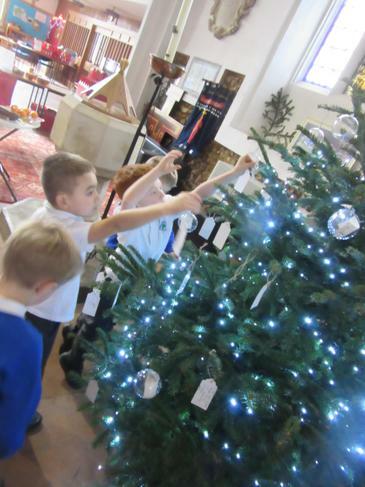 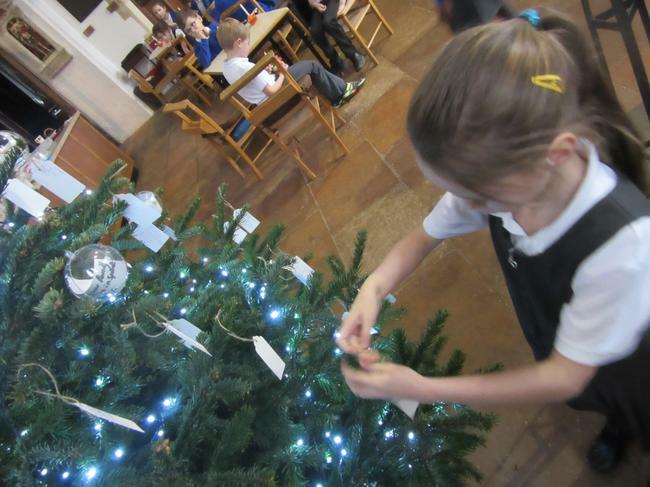 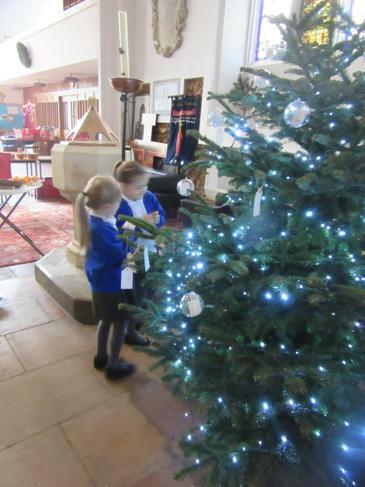 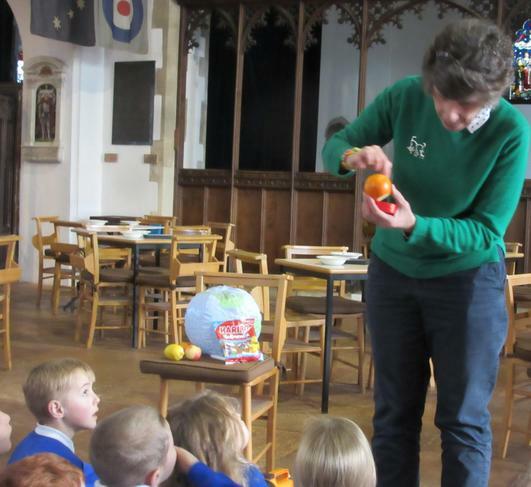 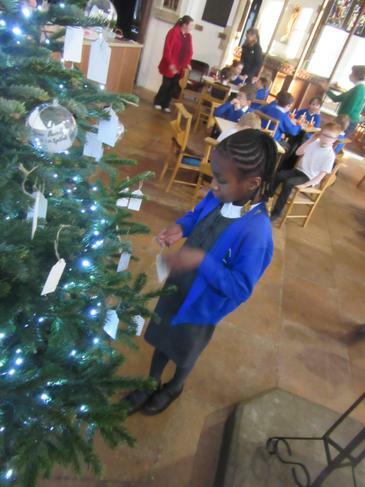 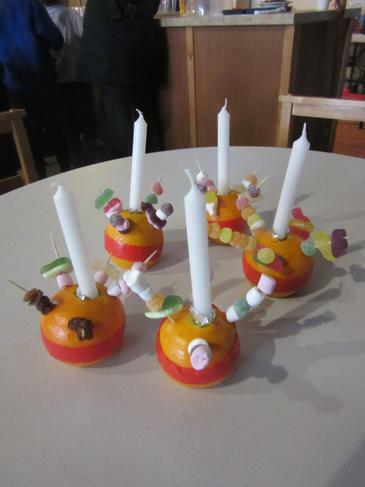 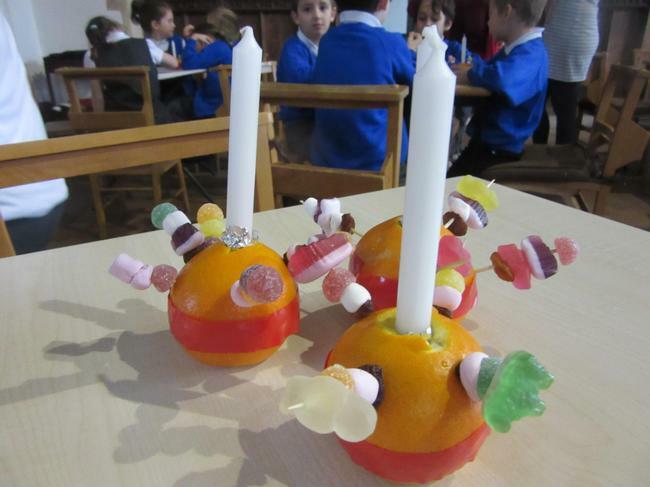 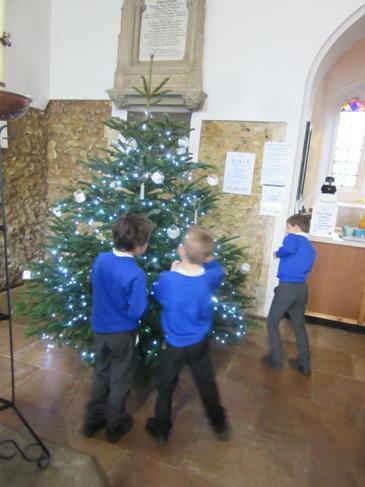 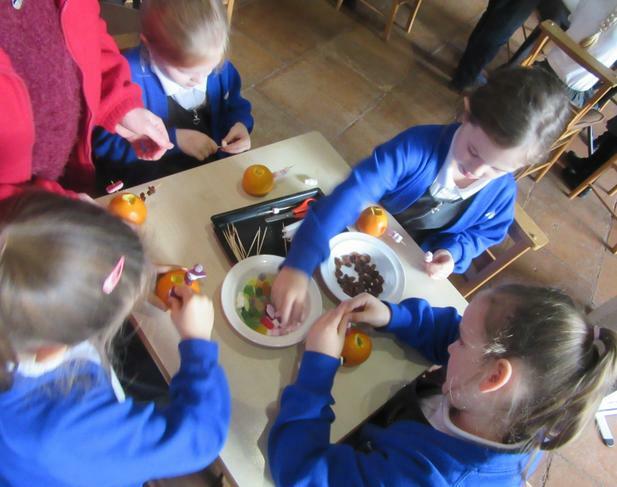 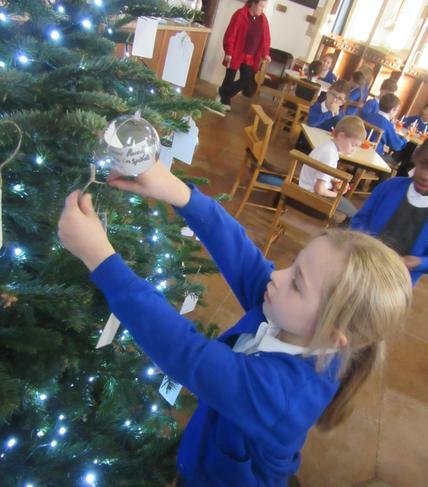 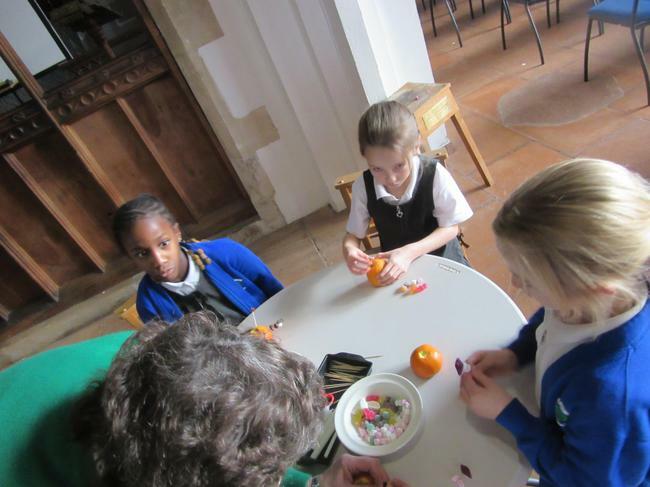 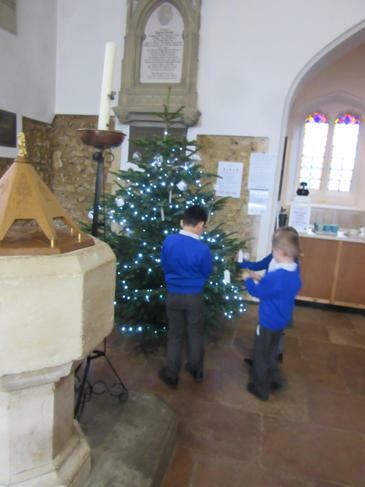 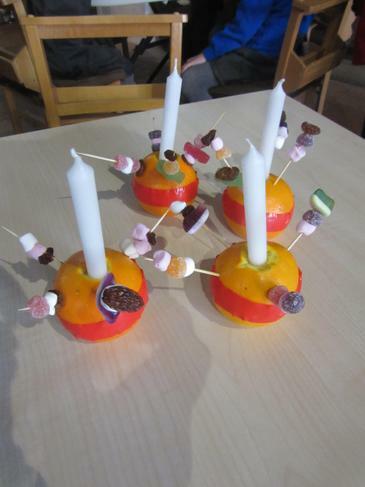 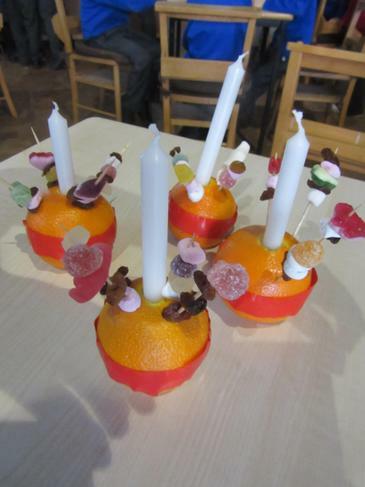 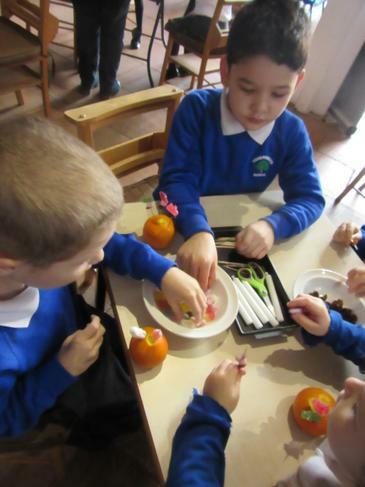 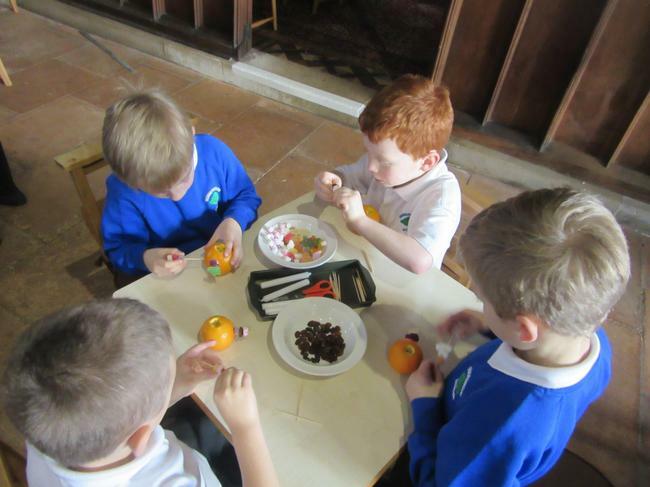 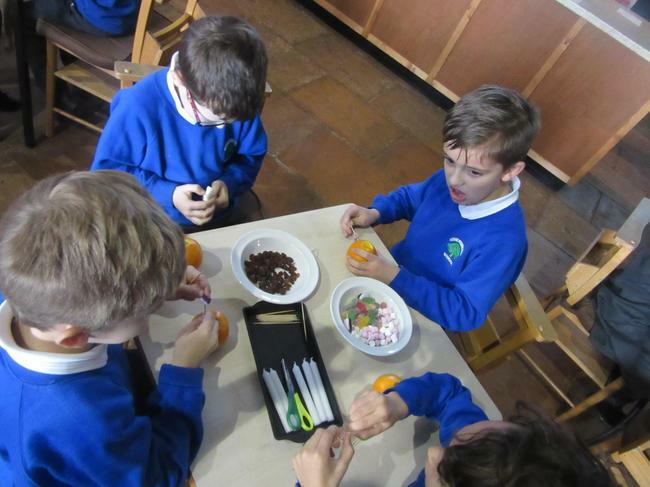 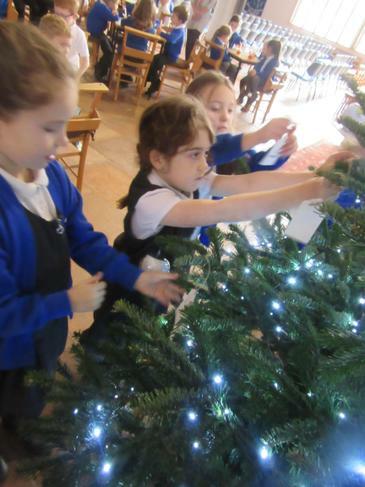 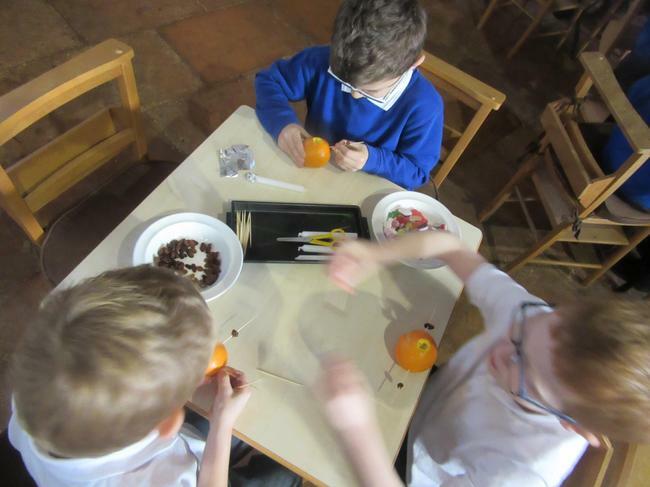 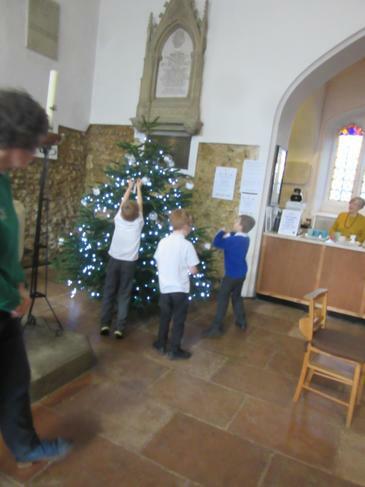 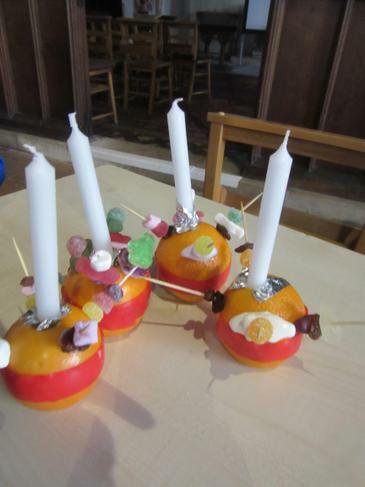 On Wednesday 12th December Year 2 went to St John's Church to make Christingles and hang Christmas wishes on the tree. 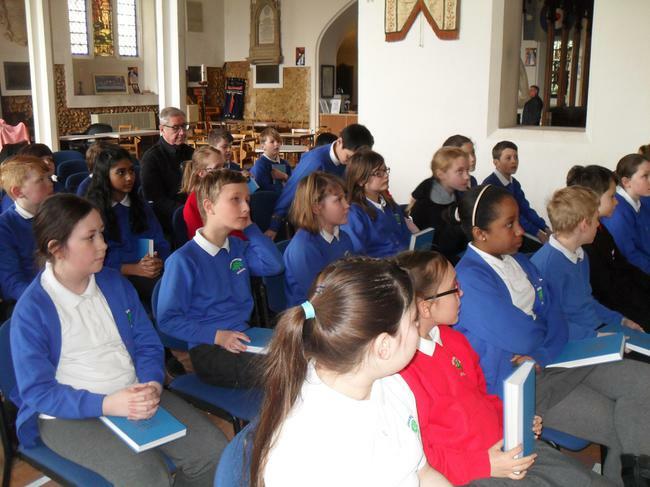 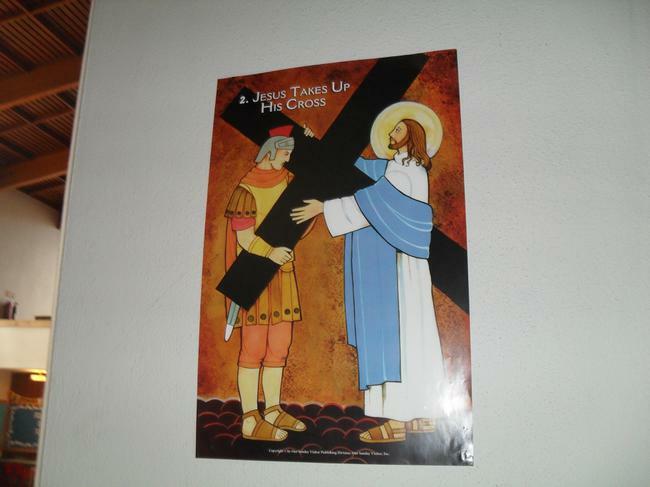 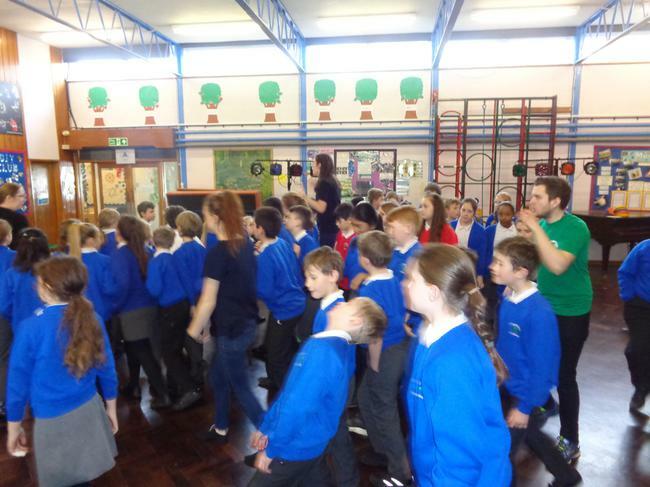 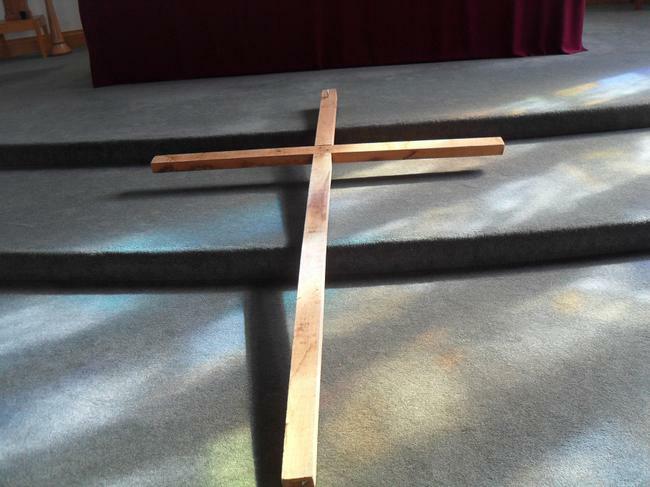 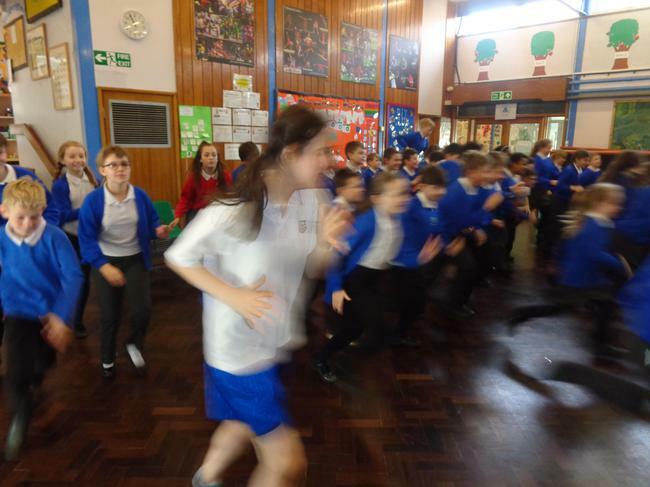 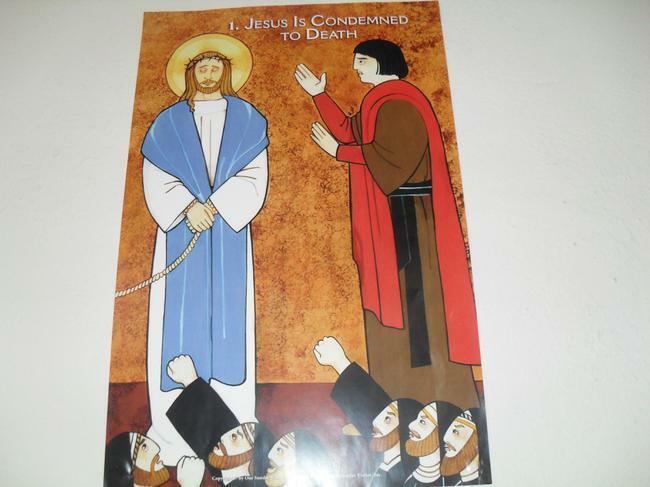 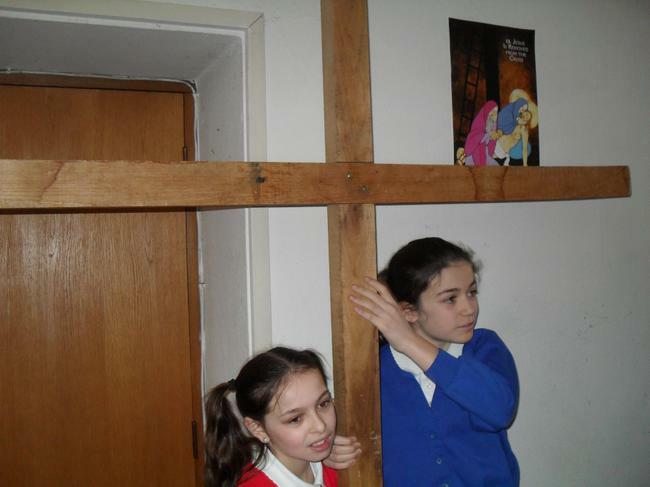 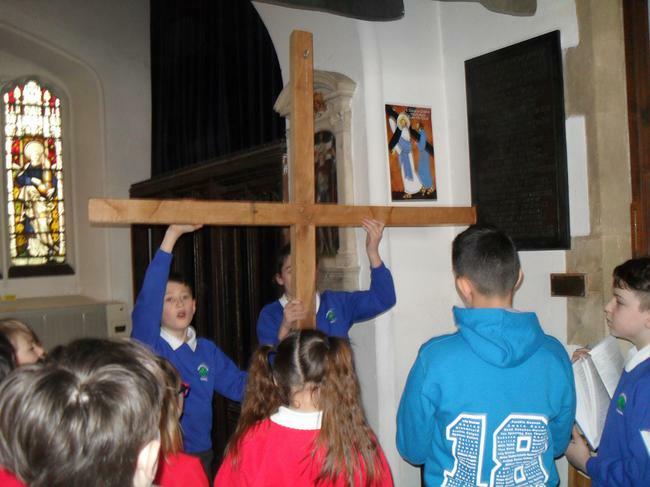 On Tuesday 20th March, Year 6 visited St John's Church to learn all about The Stations Of The Cross. 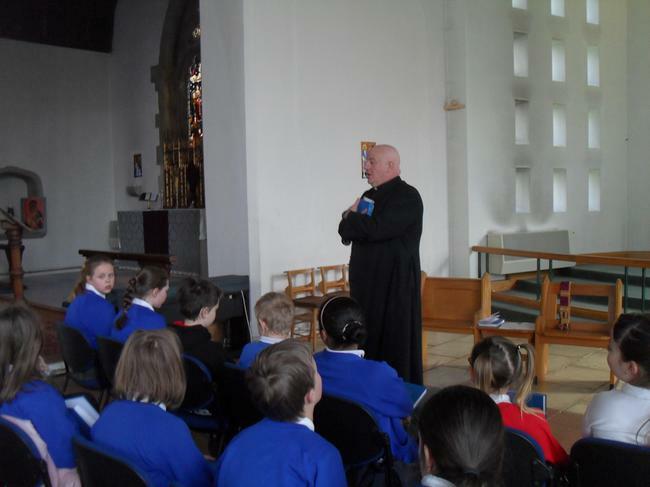 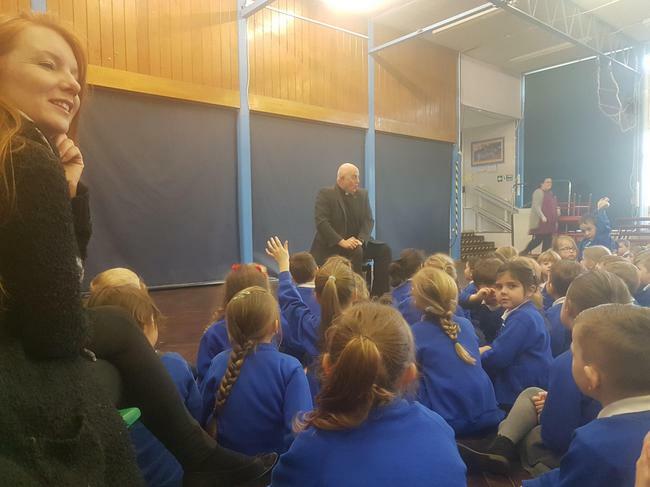 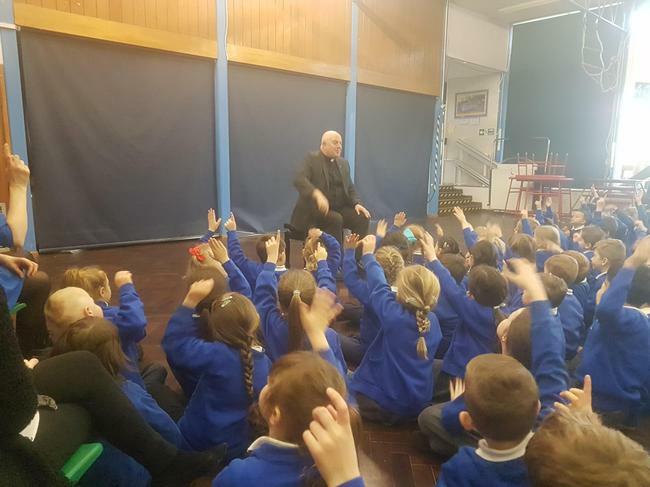 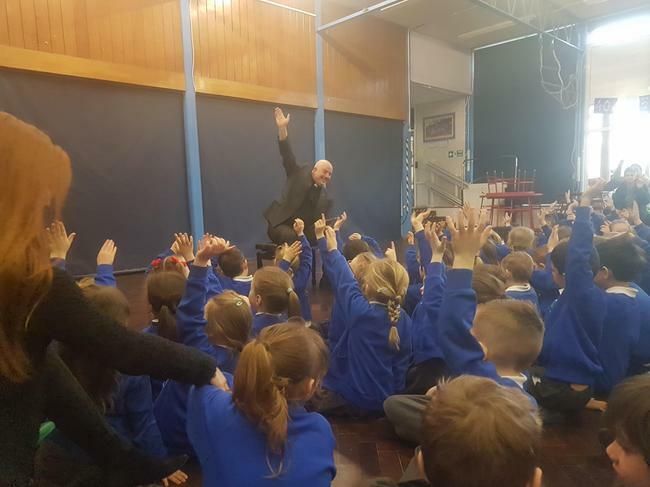 On Wednesday 15th March Homerswood School welcomed Father Rob from St. John's Church. 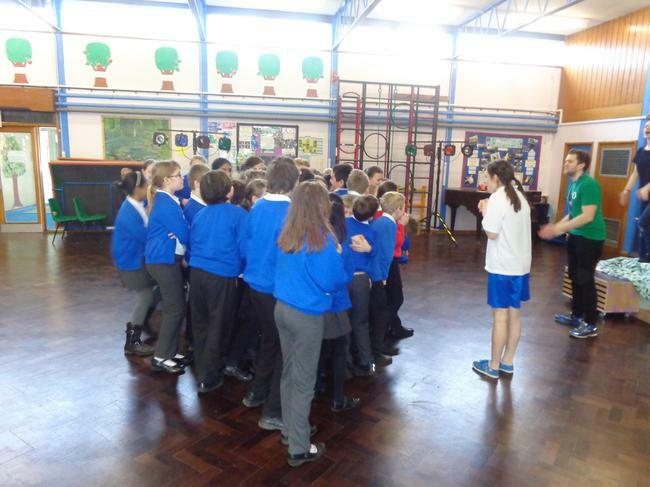 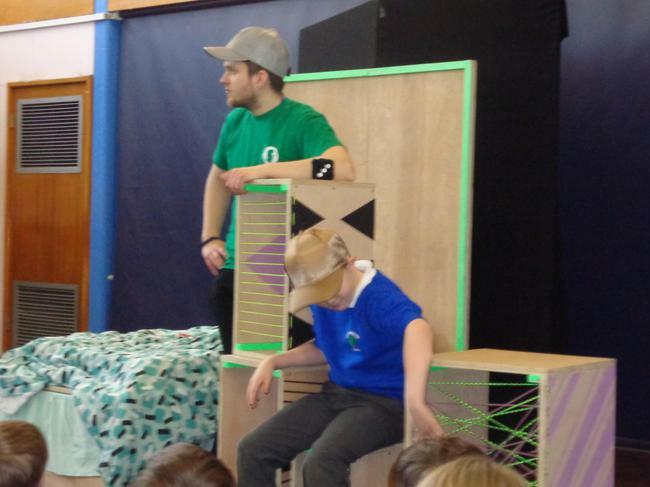 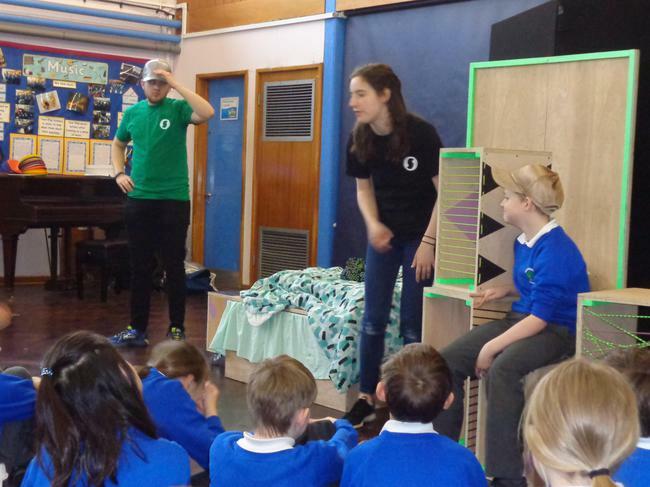 On the 7th March Homerswood School welcomed the Saltmine Theatre group who performed a play called the Secret Angel. 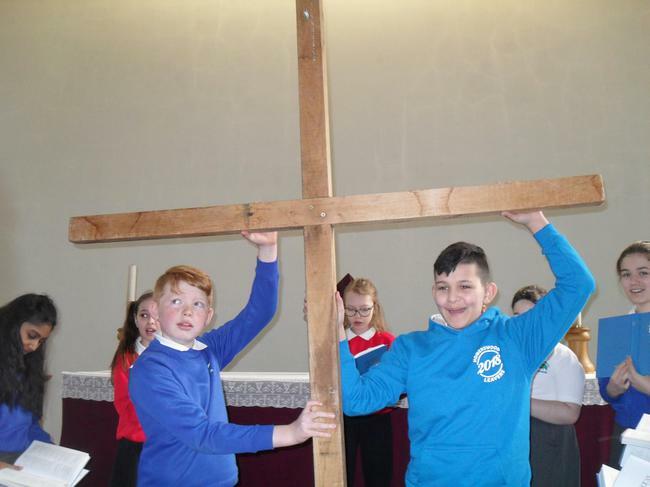 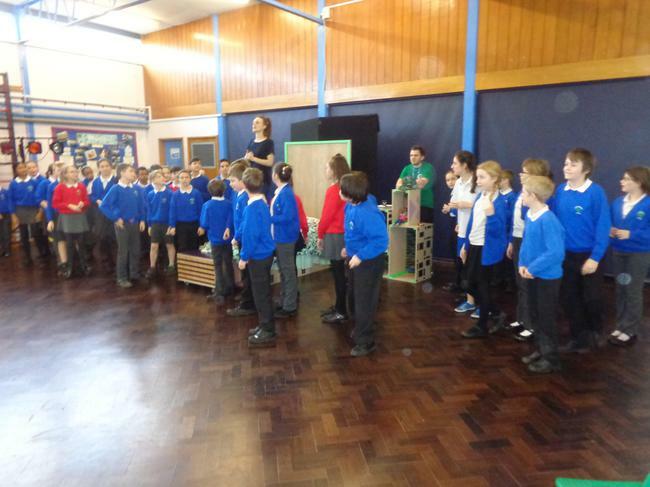 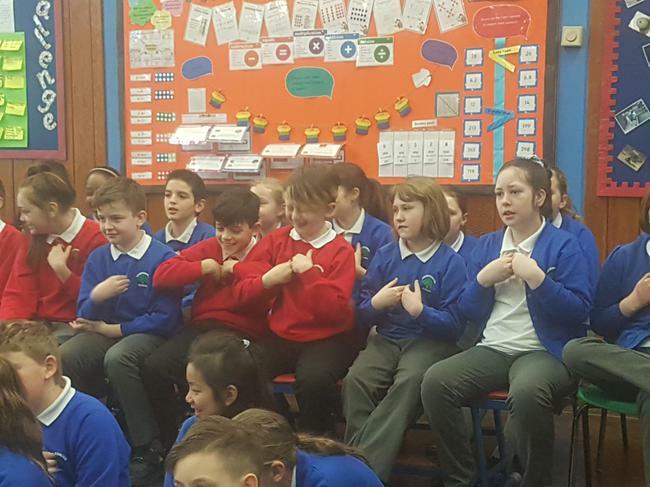 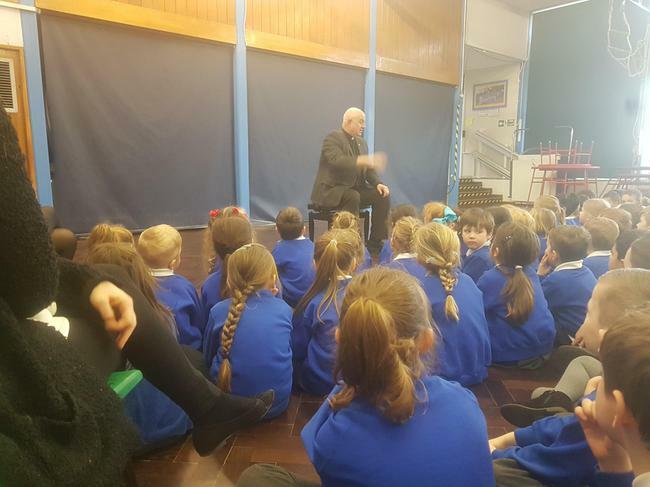 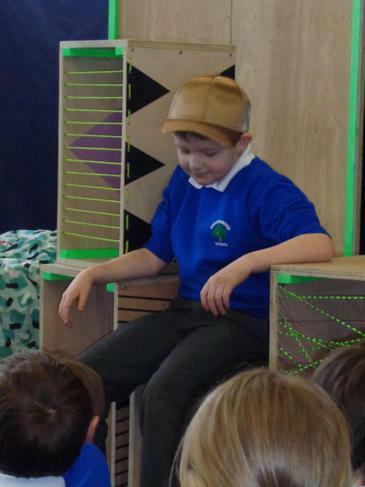 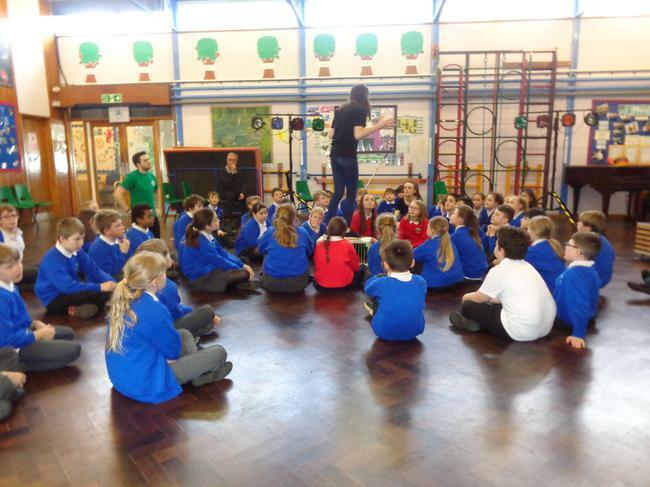 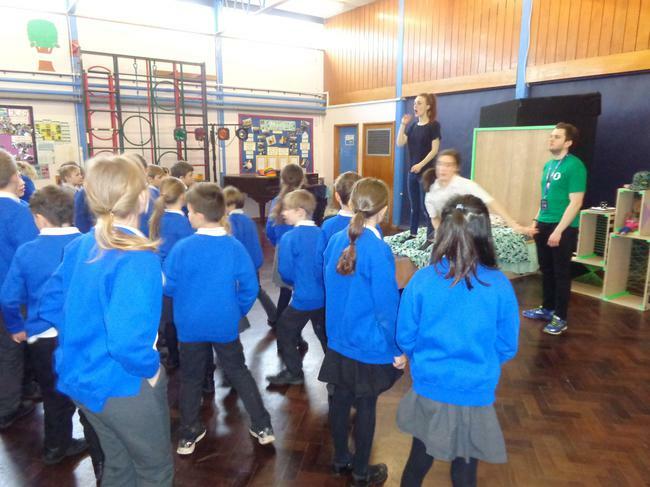 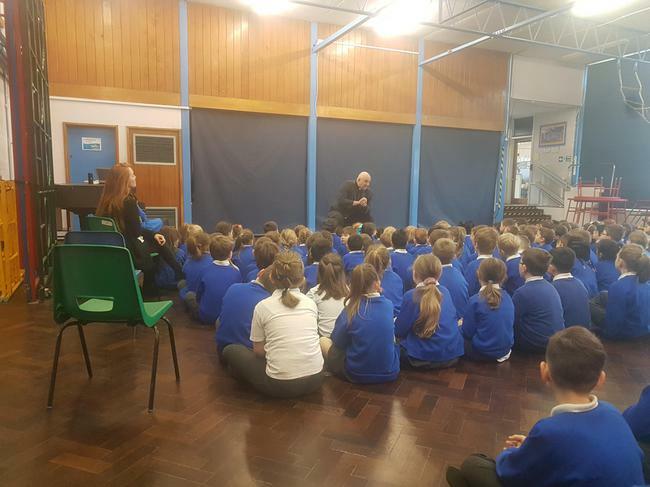 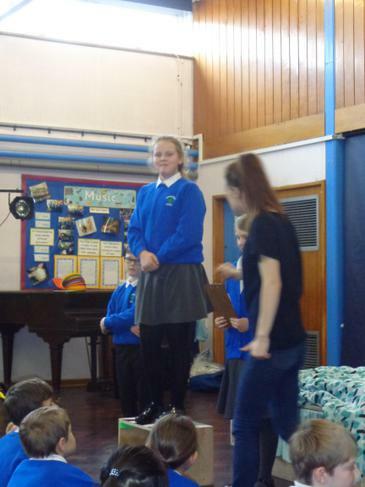 Following the performance years 5 and 6 participated in a workshop focusing on Christian beliefs and stories from the bible. 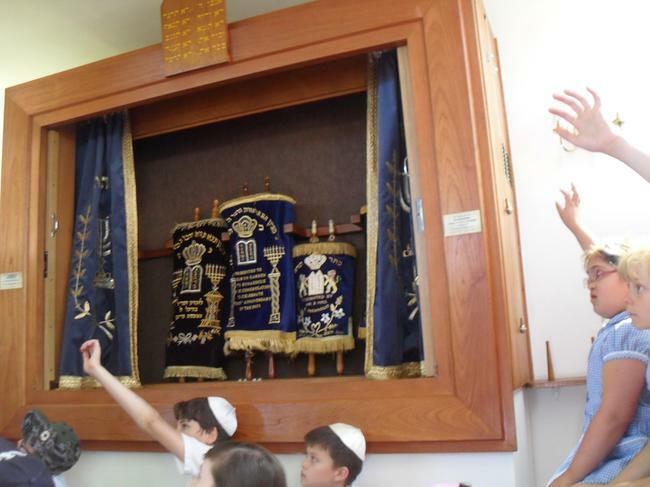 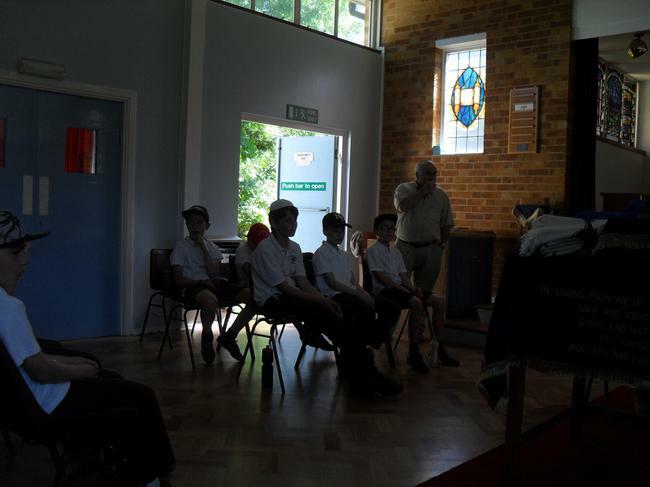 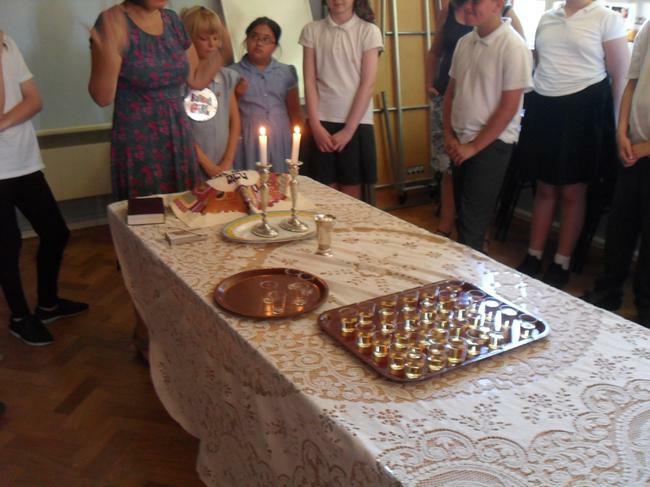 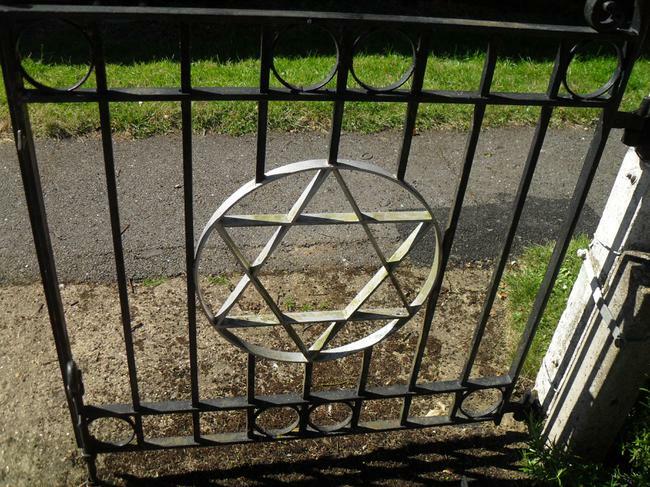 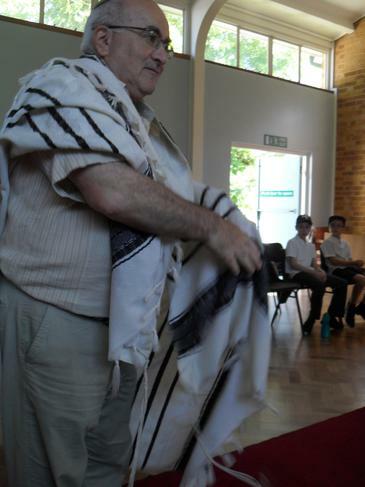 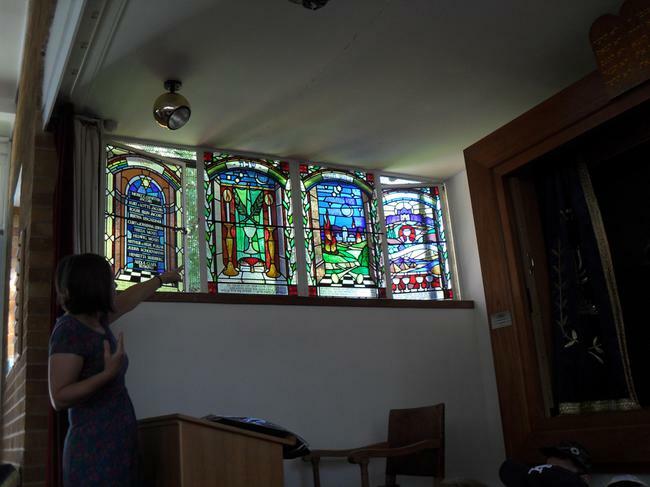 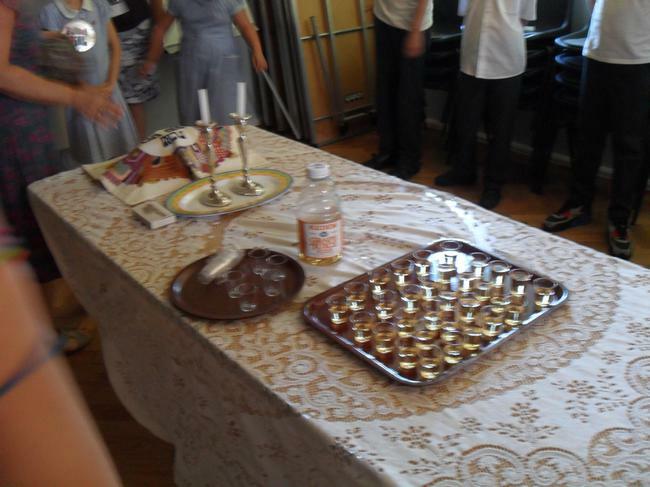 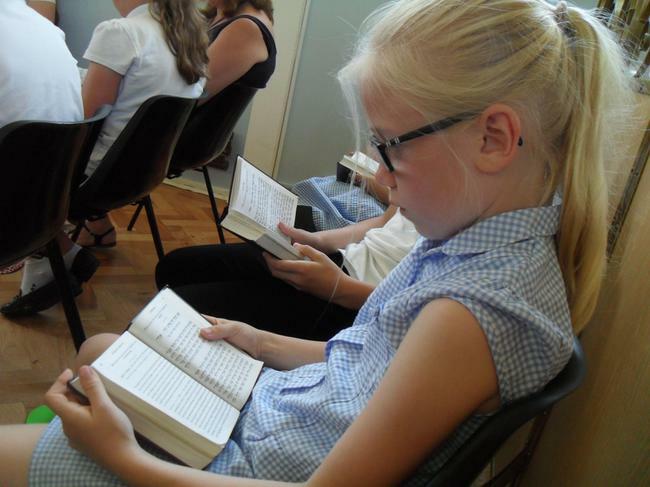 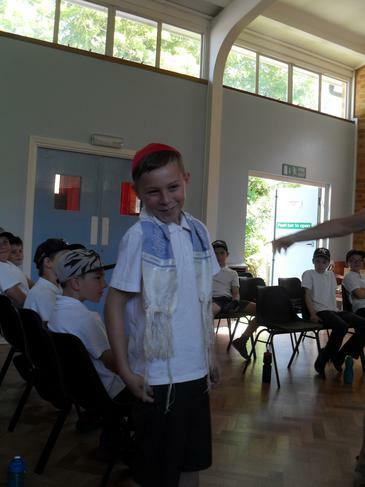 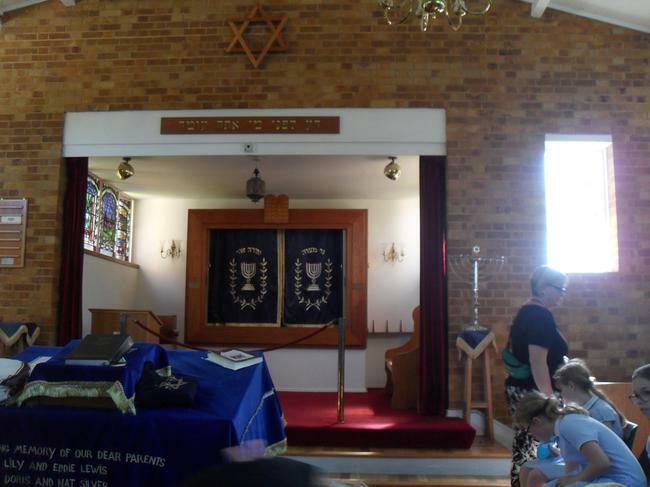 On Tuesday 19th July, Year 5 visited the Synagogue in Welwyn Garden City. 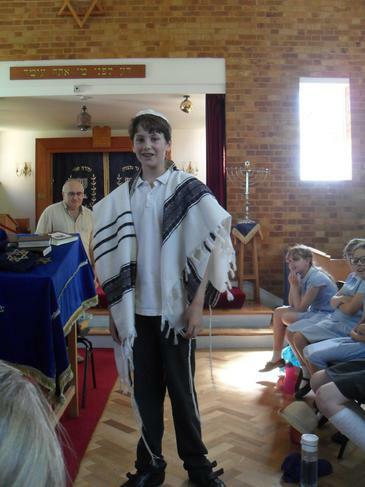 They all enjoyed learning about Judaism. 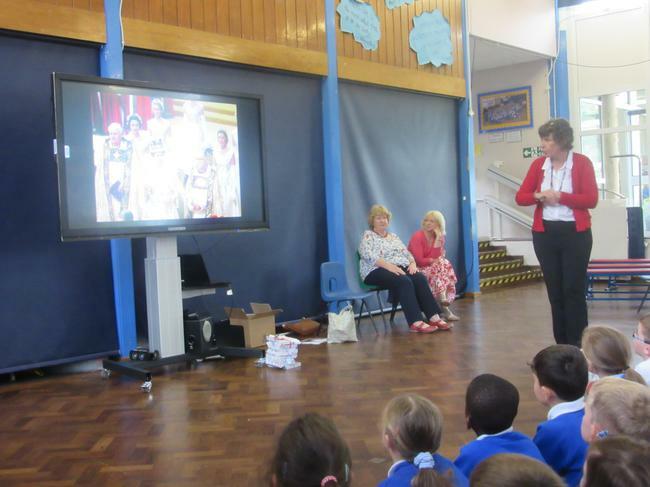 On Thursday 23rd June Selina Evans and two parishioners (Mary and Katie) from St John's Church visited Homerswood School. 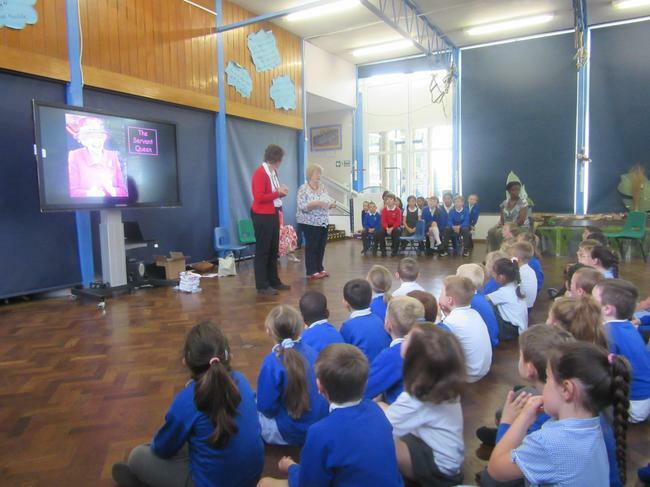 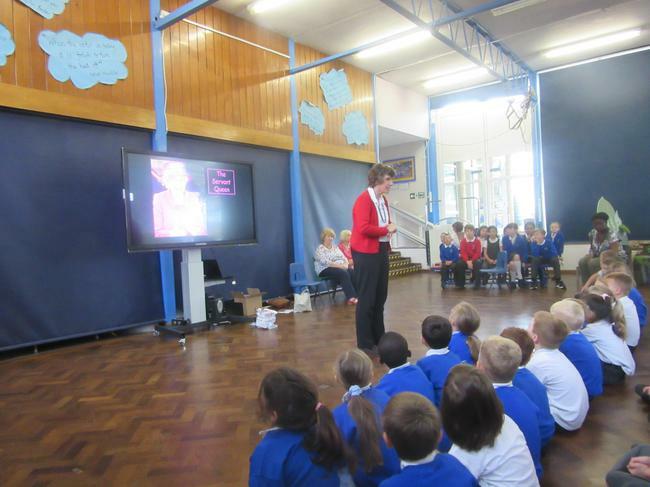 Selina talked to the children during assembly and told them stories about Queen Elizabeth II. 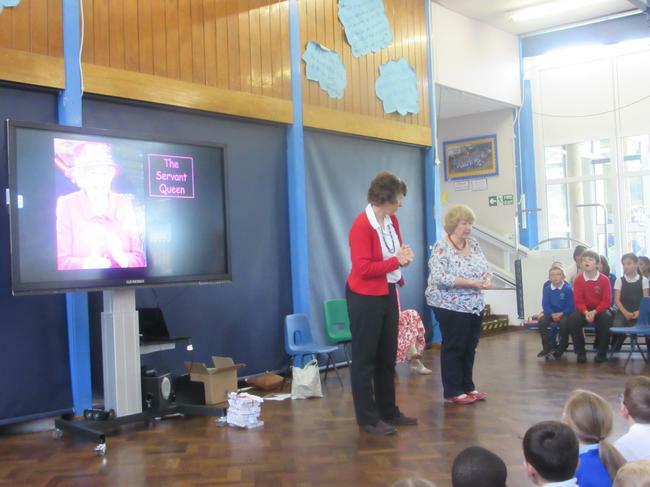 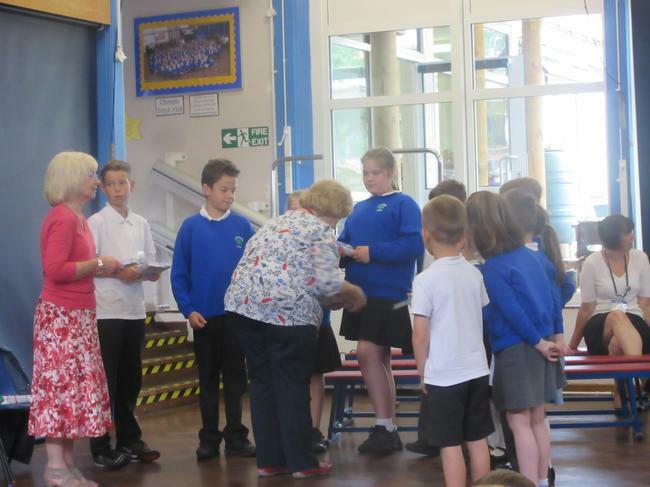 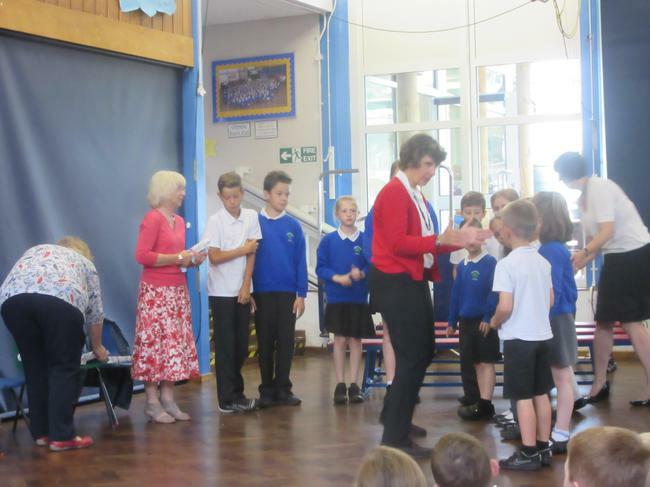 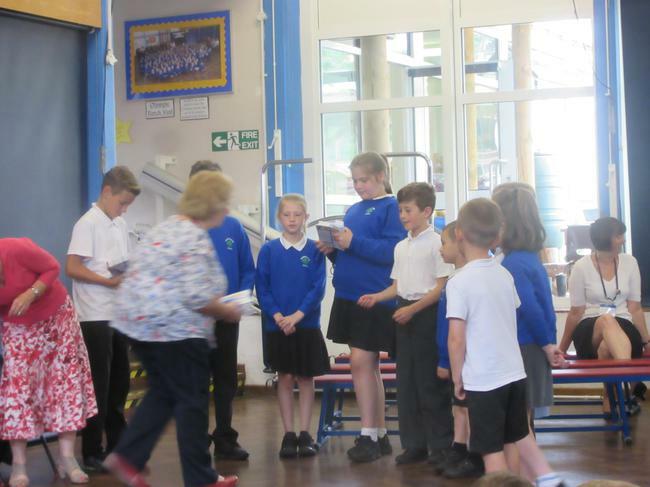 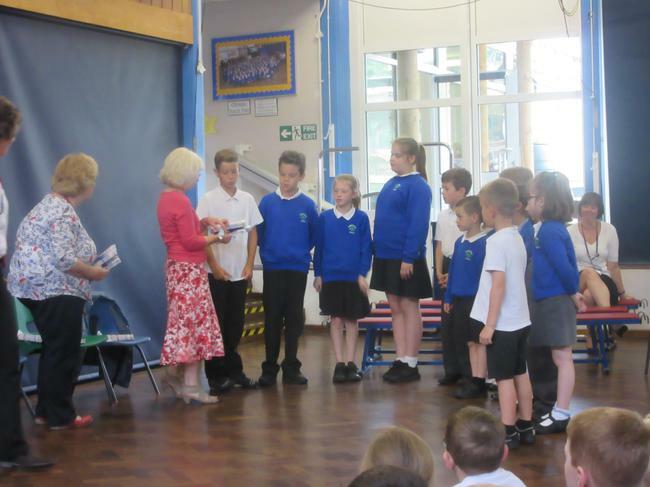 Each child was given a booklet called "The Servant Queen" which celebrated the Queen's 90th birthday. 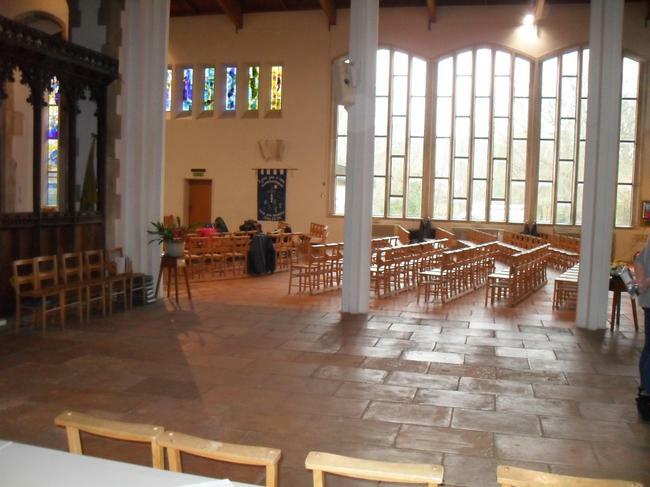 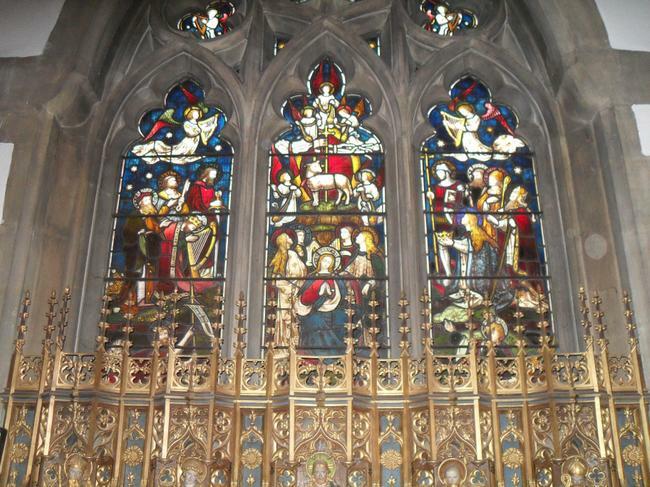 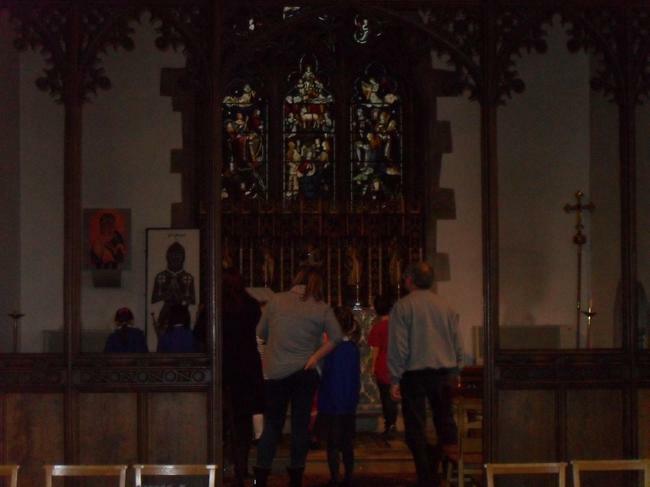 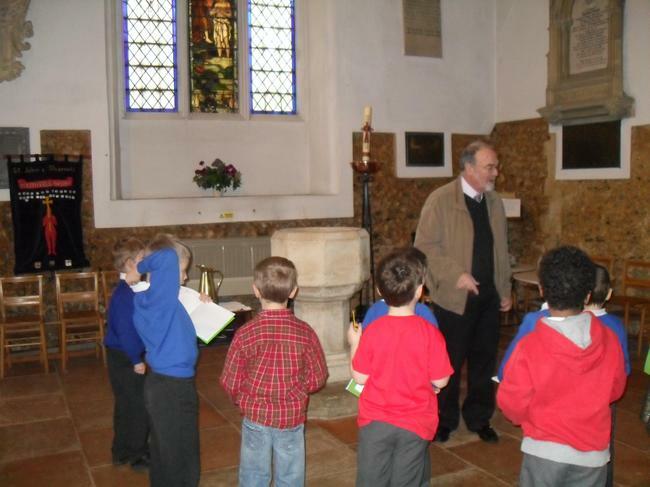 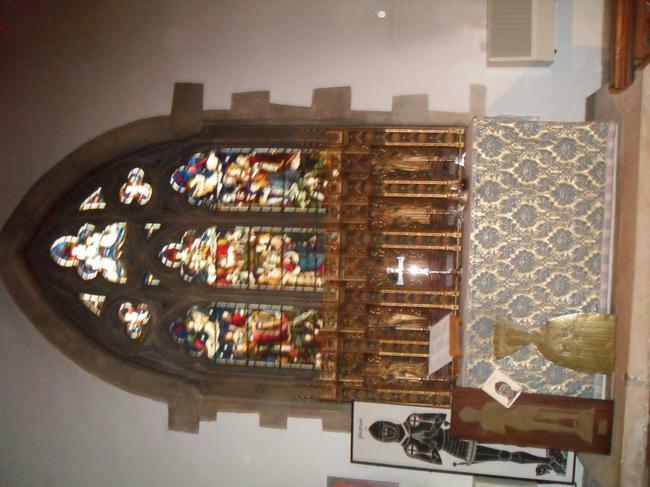 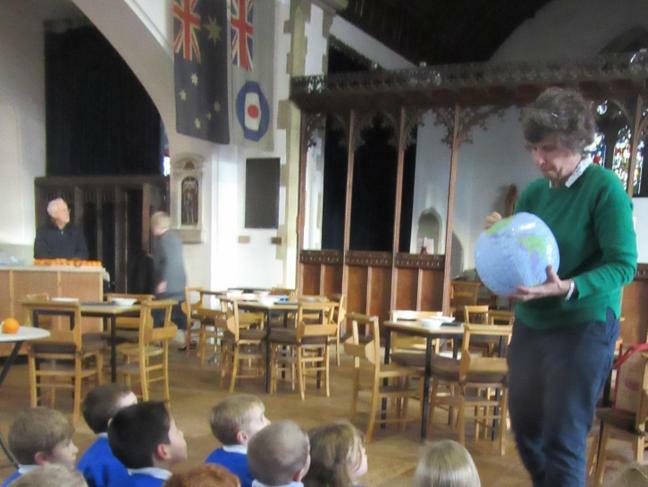 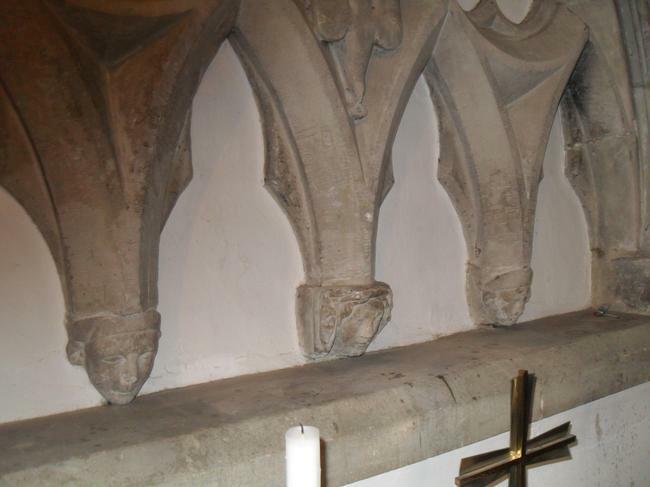 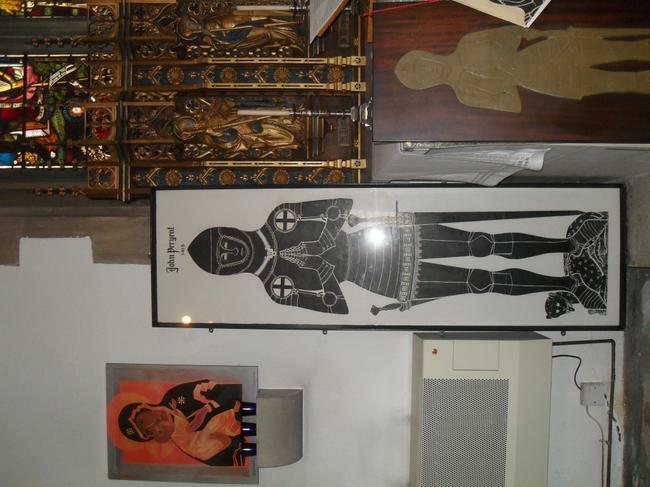 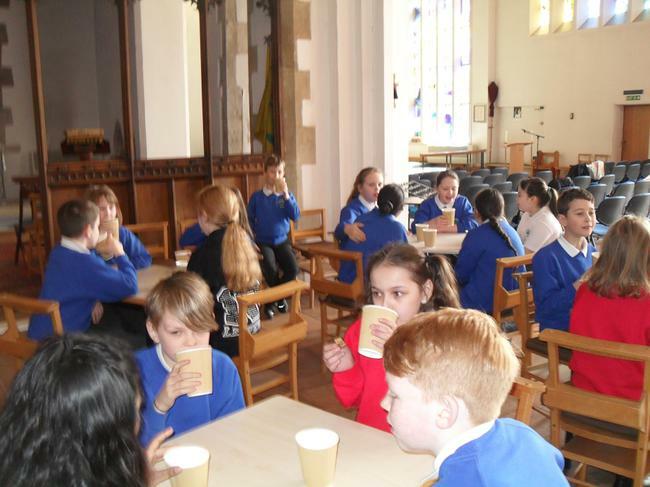 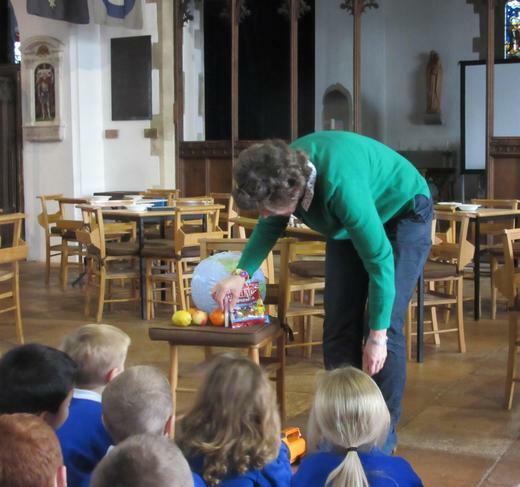 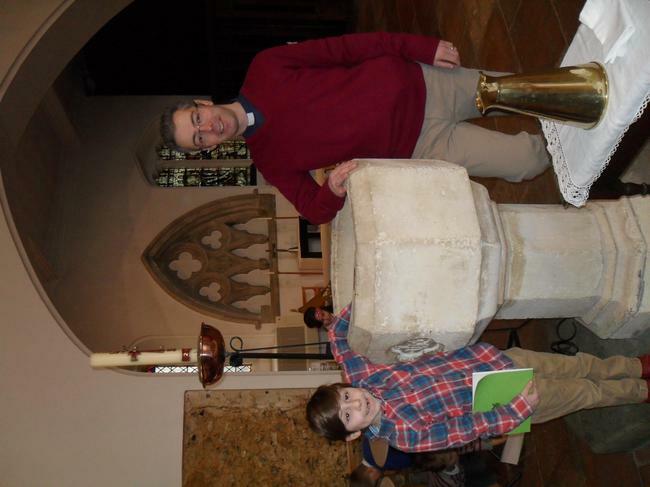 Year 2 visited St John's Church on Friday 13th February. 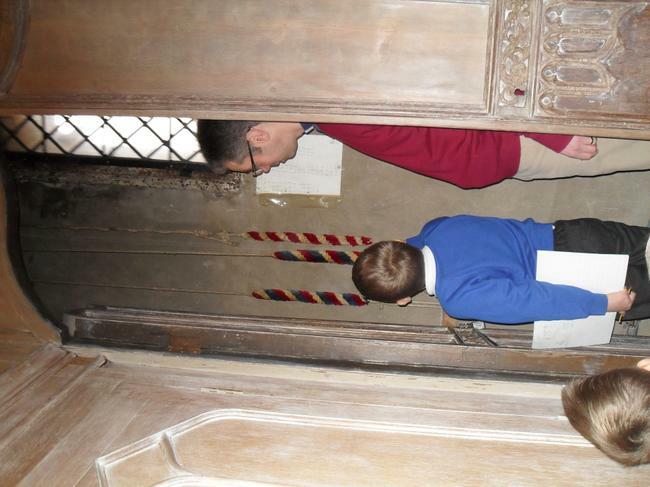 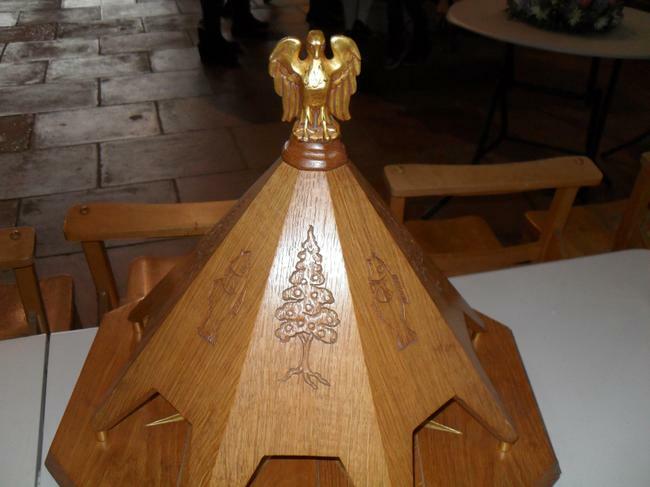 They had fun observing the interesting artefacts and ringing the bells.